Flying thousands of missions over Europe, bomber crews endured some of the toughest conditions among any military unit. These crews were critical in paralyzing German production facilities, bringing the war to a close by May 1945. Equip your minifigures with this high-quality sticker sheet from Brickmania! 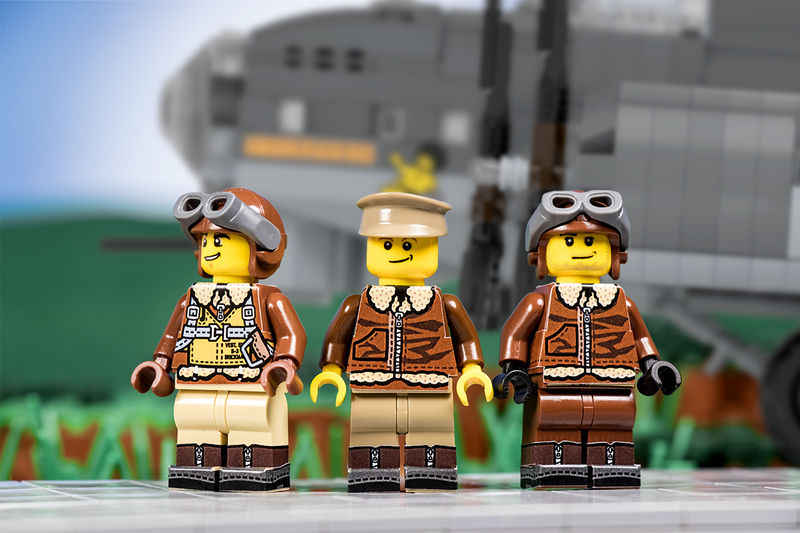 Fly your next bomber mission with this pack that features different members of an Allied B-17 crew wearing bomber jackets, parachute harnesses, boots, and life preservers.